UWWTV – Second Round NCAA Division III Football Play-offs to be Hosted by the Warhawks TOMORROW on UWW-TV! Second Round NCAA Division III Football Play-offs to be Hosted by the Warhawks TOMORROW on UWW-TV! 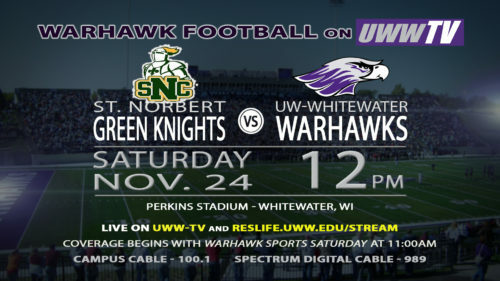 Tomorrow, inside the walls of Perkins Stadium, the Warhawks take on the St. Norbert Green Knights beginning at 12:00 pm CDT! UWW-TV will be bringing you all things Division III Football beginning at 11:00 am CDT with Warhawk Sports Saturday. This is the second round of the play-off tournament heading to the Stagg Bowl so there is a lot at stake for both teams. UW-Whitewater holds strong ground with a perfect overall season record; St. Norbert has only lost one game this season so the match-up will be nothing less than a nail biter. 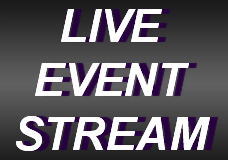 You are not going to want to miss all of the action, so make sure you tune in LIVE to UWW-TV!